Leaders drawn from the Jubilee Party have asked ODM leader Raila Odinga to take up his job as opposition leader to end the suffering among Kenyans. Led by Kuria East MP Marwa Kitayama, the leaders said Odinga had abandoned Kenyans after the handshake. Hon. Kitayama said since Odinga shook hands with Presidents Uhuru Kenyatta, he was no longer articulating issues affecting the common mwananchi. “Kenyans are now suffering because he (Raila Odinga) is no longer doing the job that he was doing fighting for the common mwananchi,” Kitayama said. The Kuria East MP praised the handshake that Odinga had helped happen but said it would be better is the Country enjoyed peace as the ODM leader fought for suffering Kenyans. Member for Ainamoi Silvanus Maritim claimed Odinga was “eating well” in government yet Kenyans whom he has been fighting for were suffering. “Who will be the voice of Kenyans if Raila is eating to his full, who will articulate their issues?” Maritim said. Hon. Maritim said the government needs Odinga as a strong opposition leader to put it in check whenever there was a problem affecting Kenyans. “We need Raila to reorganize and strengthen the opposition and not to be carried away with the handshake and forget Kenyans he has been fighting for,” Maritim said. Kimilili MP Didimus Barasa said ODM leaders had also taken advantage of their party leader’s silence and were not offering services to their residents. But Uriri MP Mark Nyamita was quick to defend Raila Odinga that he was not in Jubilee which is the government in place. Hon. 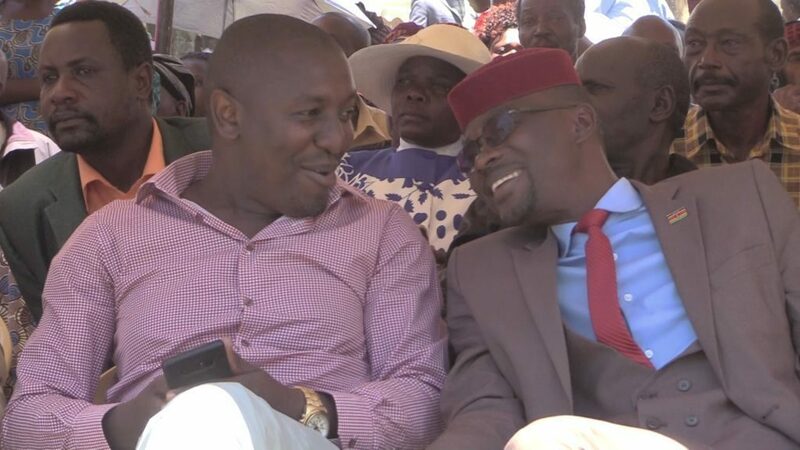 Nyamita instead asked the Jubilee MP’s to tell their leadership led by President Uhuru Kenyatta and his Deputy William Ruto to solve problems affecting Kenyans. “Let us not be quick to lay blame on ‘Baba’ who has just ensured Kenya enjoys the peace we now have,” Nyamita said. They were speaking yesterday in Kuria East during the burial of the mother of area MP.